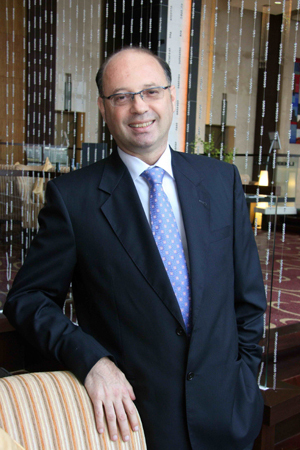 Colliers International Thailand has recently announced the appointment of Mr. Jean Marc Garret, a French national, as Director of Hospitality Department, to direct the growing business of Hotels and Leisure. In his new role, Jean Marc in addition of the fundamental hotel brokerage activity of the group in Thailand will be responsible for our Consultancy Services Division, providing. Hotel Financial Assistance, Corporate Solutions, Project Development Support, Asset Management as well as assisting in the development of investment programs and all related opportunities. A 30 year group hotel veteran, he brings with him a wealth of experience in the tourism and travel industry. A graduate of the University of Law and Economics of Nice in France, Mr. Garret first arrived in Thailand more than 22 years ago to participate in the opening of Le Meridien in Phuket. He has since become a resident of Thailand where he also served as Honorary Consul of the Principality of Monaco and President of the Franco Thai Chamber of Commerce. Mr. Garret is particularly well known within the hospitality industry circles for his keen business acumen and foresight in the field of development as well as management of hotel properties. He has diverse records of success in the areas of consulting and operations with global hotel chains such as Accor, Le Meridien and Choice Hotels International in Thailand. Prior to joining Colliers International Thailand, he was with the Centara Hotels & Resorts group, for the last 12 years with his last position being Senior Vice President Development. Jean Marc Garret is also Chairman of the Tourism Committee of the Joint Foreign Chamber of Commerce. Colliers International Thailand believes that with his track records of expertise in the local market, Jean Marc will be an added asset in our Team to accelerating success and contribute to help our clients to make the right choices for their Hospitality business. This entry was posted on June 2, 2010 at 2:14 pm and is filed under Uncategorized. You can follow any responses to this entry through the RSS 2.0 feed. You can leave a response, or trackback from your own site.